This vacancy has now been filled thank you for your interest. Due to exciting changes within the branch we have a vacancy for a Rehoming Officer. 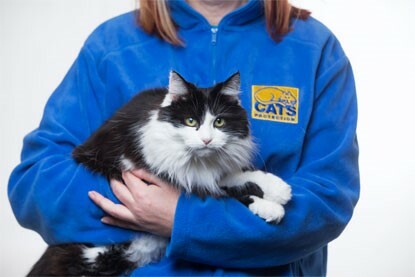 The rehoming Officer is a key role within the branch helping us to match cats and kittens to their new homes. This role will involve you working closely with our welfare team and fosterers. The rehoming officer role takes enquiries from potential adopters and then links them with our home visitor volunteers to help match the cats and kittens to suitable homes. The rehoming officer also becomes a point of contact for the new adoptees in help and advice settling their cat / kittens into the new environment. You will need Basic knowledge of cats and cat care and an appreciation of a suitable homing environment and good people skills, allthough full support and training will be given. The time expectation can vary but our current volunteers spend around 10-12 hours per week. Though the role can be shared between more than one volunteer. For more information about this role please email us on enquiries@canterbury.cats.org.uk where we can send you a full role description as well as an enquiry form.